Submitted 3 months 13 hours ago by feeds user. The super-light, ultracompact, insanely-fast-on-target Crossfire Red Dot was designed for close-range and general shooting. The daylight-bright, 2-MOA dot, is easy to acquire and promotes rapid engagement of targets, yet is fine enough to more precisely engage targets at distance. 11 intensity levels of brightness let shooters cater the dot intensity to the situation at hand. Skeletonized mount offers two height options (Low and Lower 1/3 Co-Witness) – lending its functionality to rifles, shotguns, and pistols. Fully multi-coated lenses increase light transmission during low light situations. Unlimited eye relief makes for quick target acquisition. A shockproof aluminum body displays extreme durability. 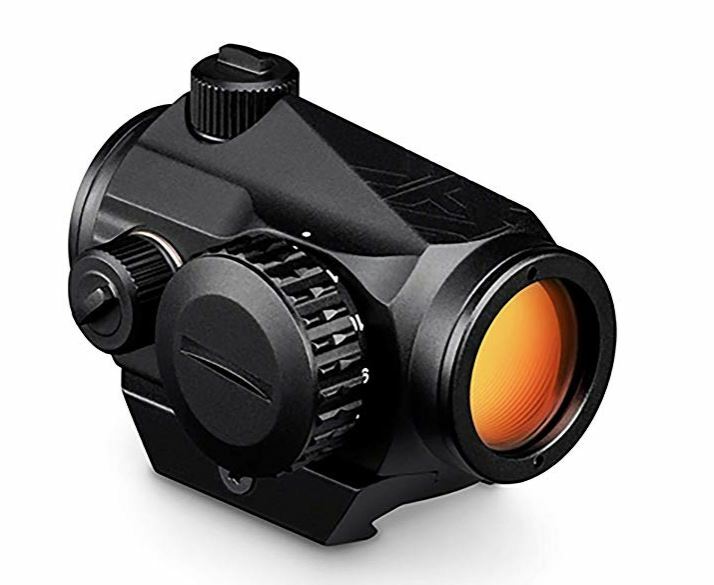 Nitrogen purged and o-ring sealed, the Crossfire Red Dot delivers waterproof performance.